Designed for red with irritated skin, rashes, open rash type wounds caused by fungal and bacterial infections. Cooling relief for variety of topical rashes and infections. 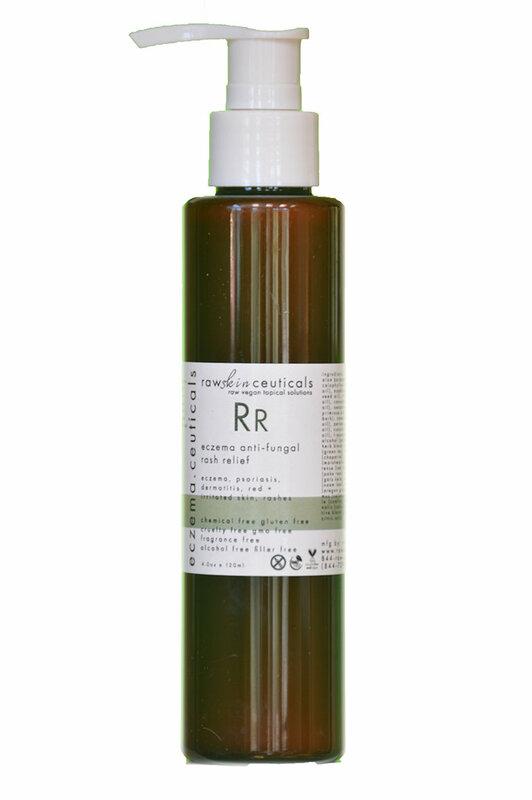 Heavily infused with raw anti-bacterial and anti-fungal oils. Apply a liberal layer to rash or irritation. Follow with application of Eczema.Ceuticals Herbal Eczema + Rash Treatment Creme for maximum results. There may be some slight tingling or burning sensation when first applied due to the anti-bacterial anti-fungal agents reacting and working on the skin.